We have a wide range of delivery options that cover our product range. 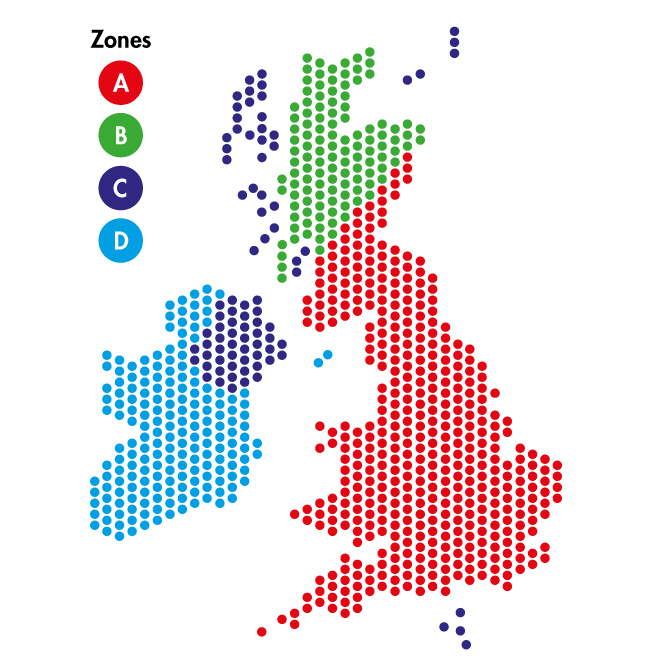 Each delivery option and cost is split up into zones to help you find what option is available to you. For Next Working Day Delivery - Order before 3pm. Our Pre-10.30am Delivery is Available in Selected Postcodes Only. All Postcodes in England & Wales, DD, DG, EH, FK,G, KA (Except KA27 & KA28), KY, ML, TD, AB1 to AB16, AB21 to AB25, AB30, AB39, PA1 to PA19, PH1 to PH3. AB31 to AB38, AB40 to AB56, IV1 to IV28, IV32, IV36 to IV40, IV52 to IV54, IV63, KW1 to KW14, PA21 to PA38, PH4 to PH41 & PH49 to PH50. HS, IV30 to IV31, IV41 toIV49, IV51, IV55, IV56, KA27, KA28, KW15 to KW17, PA20, PA41 to PA49, PA60 to PA78, PH42 to PH44, ZE, Isle of Wight & Northern Ireland.